Improve your fertility naturally and get pregnant faster by following the advice and guidance of fertility expert, Aimee Raupp. Welcome to Stories of Hope: True tales of life, love, and perseverance from the Yes, You Can Get Pregnant community. Because we’re on the fertility journey together. After doing my initial intake, I found out that prior to the miscarriage her periods were quite regular but with a very light flow. She would barely fill 2 regular tampons on her heaviest days. Additionally, Suzanne dealt with regular sinus issues, dry skin, very cold hands and feet, fatigue, headaches and jaw pain. My initial protocol was to help her build and tonify her blood, relieve tension in her body and improve circulation. I tweaked her diet, added in supplements and prescribed her some Chinese herbs as well as her put her husband on the Healthy Daddy Diet (from my book, Yes, You Can Get Pregnant). I also wanted her to get some additional tests from her doctors, mainly the MTHFR genetic mutation and a complete thyroid panel. Due to her age (31) her doctors just chalked her miscarriage up to bad luck. But I have the attitude of ‘one miscarriage is one miscarriage too many’ and I want my clients to rule out any potential reasons for the miscarriage. That means getting specific blood tests like the MTHFR (and other clotting factors) along with a complete thyroid panel. Unfortunately, Suzanne’s doctors talked her out of needing these tests telling her that the miscarriage she experienced had nothing to do with anything physiological. Post-miscarriage, Suzanne’s first period was even lighter than they had ever been and mainly brown in color. And, she just had this feeling like her body was out of whack. I urged her to get a trans-vaginal ultrasound from her gynecologist. At first the gynecologist denied her request, saying that the light period post miscarriage was normal. I disagreed and urged her to ask again. When her following period was even lighter in flow and darker in color than the previous one, her gynecologist finally agreed to do an ultrasound. What she found was that Suzanne’s uterine lining looked very thick and abnormally formed. The doctor recommended Suzanne take a course of progesterone to help her shed the lining. I also tweaked my herbal formula. The following period wasn’t much different. At that point, I also started encouraging Mayan abdominal massage along with castor oil packs– as both those procedures (in conjunction with acupuncture and Chinese herbs) should really get healthy blood flow going and improve Suzanne’s scant menstrual cycles. “Hi Aimee – hope you are well! I got my period on Thursday 2/4, right on time again. It lasted through the next Friday – so almost 9 days, which is longer than I’ve ever seen. But again, very very little on each day and brown. But, there was one day (Monday the 8th) when there was a bit more than usual and it was slightly RED! I started screaming and actually cried I was so happy. My husband thought I was insane. It went back to brown from Tuesday-Friday – but what a great sign!! I’m in my fertile window right now — set to ovulate tomorrow or Friday, and we have been trying, though less religiously than before. I still have some doubts about whether everything is in working order and felt a bit freaked out when it was actually time to press go again. I’m feeling more positive now, but there was definitely a freak out moment earlier. I also got the day 21 blood results back which showed a progesterone level of 15.6ng/ml, which the doctor said was perfect. I guess this is good news, but it also then doesn’t help explain what is going on. Part of me was looking forward to having an answer. That’s the latest. I know I will see you this coming Tuesday, but wanted to update you in the meantime. I am running low on herbs again so need a refill. Do we keep going with the same formula even though I may get pregnant now? I was very pleased with this progress, however something still wasn’t right. Her periods should have restored to their normal flow and, if anything, arrive with a healthy flow and bright red in color. Her doctor didn’t seem concerned at all but I told Suzanne if her next period doesn’t show even more improvement, I recommend another trans-vaginal ultrasound and perhaps even a hysteroscopy to check the inside of the uterus for any scar tissue or retained tissue from the miscarriage. However, her next period was healthier in flow and more red than the previous one. The work we were doing was kicking in and her body was responding. That cycle, Suzanne fell pregnant again. We were elated. It had been 6 months since the first miscarriage and Suzanne had seen so many positive changes in her body. I had her get into her doctor right away for some early testing due to the previous miscarriage. I wanted her progesterone and her thyroid tested as well as the pregnancy hormone. Upon testing, her initial blood work looked great, all her levels were right where they needed to be. But within two weeks, Suzanne began miscarrying again. At that point I urged all the clotting factor blood tests again. Because her doctors didn’t think those blood tests were important they didn’t test them when I first asked. Nor did they support her taking extra methyl folate when I had recommended that. Being Suzanne is from a family of doctors, she listened to her doctors recommendations over mine. In retrospect, I learned a lot from this case; I should have pushed a bit harder on my recommendations. Suzanne and I had a long talk and we both agreed that her doctors weren’t taking her questions and concerns seriously enough. 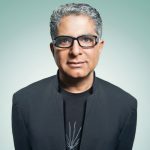 So she decided (at my urging) to begin working with a functional medicine doctor, Dr. Aviva Romm. I have co-treated clients with Dr. Romm in the past and I felt like she was a great fit. Plus, Suzanne’s family agreed with this decision. Dr. Romm ran a series of functional medicine tests and discovered that Suzanne did in fact have the MTHFR genetic mutation (she carried two copies, which made her body very compromised especially when it came to proper utilization of folate) along with higher levels of inflammation in her body. At both mine and Dr. Romm’s recommendation, Suzanne cut out dairy, eliminated almost all added sugar and got even stricter with her gluten intake. She dropped her prenatal that had folic acid in it and switched to a methylated b-complex with the right amount of folate for her body. But the saga with Suzanne’s scanty and brown periods returned her very first period after the D&C. Instead of waiting another cycle, she got into her gynecologist right away for a transvaginal ultrasound. Her doctor discovered what looked like a fibroid in her uterus. Suzanne then went to another office for more sophisticated imaging and that’s when they discovered that she did not have a fibroid, rather she had retained tissue from her most recent miscarriage and d&c. Suzanne now needed another surgery to remove the retained tissue. She got that surgery in June of 2016. What happened next is somewhat uncommon, but I have seen it happen a few times in my career: Suzanne’s uterus formed adhesions after the surgery, also known as Asherman’s syndrome, and she needed yet another surgery to remove the adhesions. She had such severe scarring from the previous D&C and the follow up surgery to remove the retained tissue that her uterus basically sealed itself shut. Suzanne had to now get yet another surgery. She had switched doctors by this point and was finally working with a doctor who listened to and honored all of her concerns and questions. 8 months after her second miscarriage, Suzanne got one more surgery on her uterus. This last surgery got us back to where we needed to be: a uterus without adhesions or scarring and regular menstrual cycles with bright red blood and a healthy flow. Finally, after almost a year of doctors and surgeons and second and third opinions, Suzanne could finally see a light at the end of the tunnel. Her doctors told her she could start trying again in 3 months, once the uterus has completely healed. Over the course of all of this, Suzanne kept up with her diet and the supplements, her regular acupuncture, Chinese herbs, mayan abdominal massage, castor oil packs, meditation and journaling. She was eager to start trying again yet scared as hell. During our sessions we would talk through her traumatic experiences and try to focus on all that was learned and on how many positive shifts her body had taken. “Hi Aimee!! 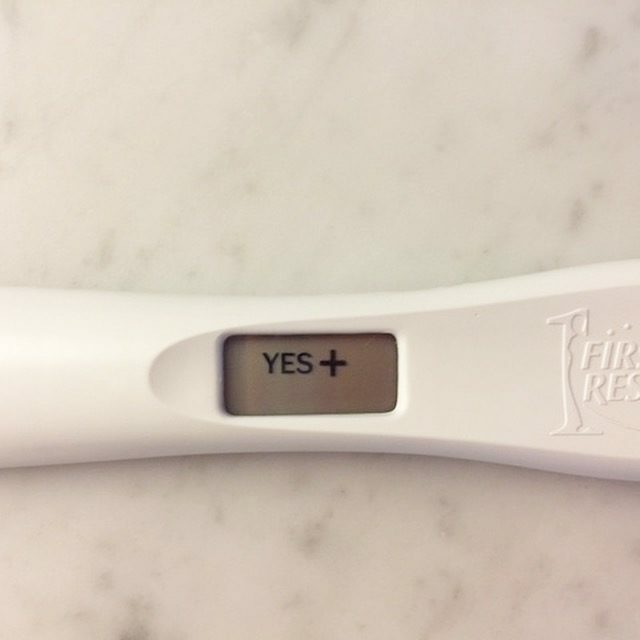 I had a positive pregnancy test this morning! I’m feeling a bit numb about it all, happy and freaked out as we predicted. I’m trying to make an appointment to see my RE today. What do I do now??!! Ahhh!! Suzanne and her healthy body and her healed uterus went on to carry a beautiful baby boy to term. Little man is now 4 months old and really chubby and happy. You can also look around my website to learn more about my books, my online workshops and guides, my Ultimate Fertility Membership, and my amazing Yes, You Can Get Pregnant E-Course. 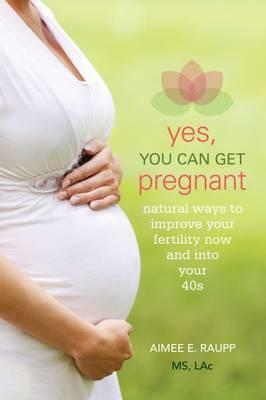 I look forward to guiding you to reawakened health and thriving fertility!